Don Kingsborough, founder of prepaid payments specialist Blackhawk Network, has joined PayPal as the online payments giant moves further towards the world of offline shopping. The firm said on its blog it was “thrilled” at the appointment of Kingsborough as vice president for retail and prepaid products, to help it bring PayPal into traditional retail stores. 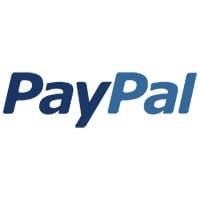 “Don’s experience in consumer product development, technology, retail, POS and merchant relationships will prove invaluable as we work to bring PayPal to connected devices and the offline world,” the blog reads. The appointment is the latest step in PayPal’s vision of moving into traditional retail, as mobile, social and local media come together — opening up a huge potential new market for the online payments giant. Last July, PayPal teamed up with Bling Nation to conduct an NFC pilot in Palo Alto and, in August, PayPal president Scott Thompson revealed that moving the online payments service into the retail arena was the company’s top priority. Kingsborough’s appointment comes after Osama Bedier, PayPal’s vice president of product development and a key player in the company’s move towards mobile payments, joined Google in January. PayPal Mobile product lead Matthew Weathers has now also moved and is working on mobile shopping service provider ShopSavvy’s move into NFC.